We work hard on the ground, so you can fly with confidence in the sky. From minor repairs to complete panel upgrades. All performed in-house at Bison Aviation. From CNC machining, to laser engraving & 3D printing. Bison Aviation is at the cutting edge of aircraft maintenance! From simple skin replacements to structures fabrication, no project is too big or too small for Bison Aviation. Bison Aviation is the world's leader in legacy airborne EO/IR equipment service and sales. The Bison Aviation team is dedicated to going the extra mile for safety & training. Don't let the clock run out on your plane. Contact Bison Aviation now to schedule your free ADS-B consultation! Bison Aviation is a fully licensed FAA Part 145 Repair Station with Airframe, Instrument and Radio capabilities, an accreditation which is extremely difficult to attain and sets Bison Aviation apart from most other general aviation shops. Among other privileges, this licensure allows Bison Aviation to conduct testing and recertification of aircraft static systems and transponder equipment. Bison Aviation is the holder of FAA Air Agency Certificate Number 85NR497D. Bison Aviation is a proud recipient of the prestigious FAA Diamond Award for excellence in maintenance training & safety. This award is the highest conferred by the FAA for aircraft maintenance organizations in recognition of their dedication to employee training and safety. Our technicians regularly participate in online and face-to-face training programs put on by industry professionals, owner / type organizations (ABS, AOPA, TCF, COPA, etc.) and of course the FAA, resulting in a training curriculum which vastly exceeds the regulatory requirements. Bison Aviation provides general aviation aircraft inspections, maintenance, and repair services for aircraft ranging from gliders and light sport through corporate jets and helicopters. Employing a team of highly-skilled and experienced FAA licensed technicians and inspectors gives Bison Aviation the ability to service virtually any customer’s needs, no matter how big or how small. Bison Aviation is proud to have a full-time avionics team in-house. While many shops “sub out” their avionics work, Bison Aviation maintains a full service avionics staff as a part of our workforce. Our capabilities range from basic troubleshooting to complete panel installations and by having all services in-house (including CNC panel fabrication, laser engraving, and 3D printing) we are able to save time and reduce costs for our customers. Bison Aviation’s Sensor Service team maintains the world’s largest inventory of legacy airborne EO/IR equipment, including an average of more than sixty flight-ready systems from manufacturers such as Wescam, FLIR Systems, Inc., GyroCam, PolyTech, SweSystems, and more. Through significant investments in research and engineering, Bison Aviation has developed the tools and procedures necessary to repair & service nearly all makes and models of airborne equipment at the component level. Whether you need to add ADS-B OUT capabilities in order to meet the December 31, 2019 deadline, a routine pitot-static / transponder certification, or it's time for a completely new panel, Bison Aviation's Avionics Team is ready to bring your avionics systems into the 21st century! 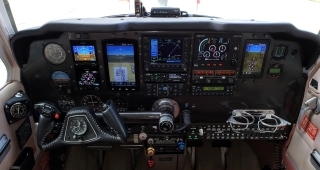 We are installers for virtually all major avionics manufacturers, so we can build you the very best panel for your mission and budget. Cutting-edge technology, such as CNC machining, laser engraving, and 3D printing, put our installations in a class of their own! When avionics systems stop working correctly, you need a team with the tools and experience necessary to efficiently diagnose the issues and repair the system. 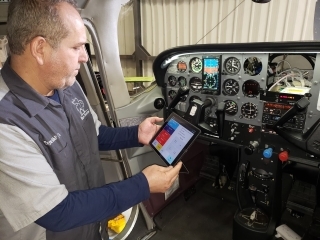 Whether the fault is a data bus communications error on a new glass panel PFD or a weak transmitter on a legacy com radio, Bison Aviation's skilled technicians can locate the fault and return those systems to operational condition quickly! As a fully certificated FAA Part 145 Repair Station Bison Aviation, LLC is ready to tackle your most challenging maintenance requirements. You depend on your aircraft to carry you and your passengers safely. Whether it's time for a routine annual, a complete series of phase inspections or a pre-purchase inspection, Bison Aviation's team of FAA licensed technicians is ready to ensure that your aircraft is safe and airworthy for your next flight! Thorough aircraft inspections not only help locate and identify failing parts before they fail, but can also save the aircraft owner significant money in the long run. Replacing parts and servicing equipment before it reaches the point of total failure is almost always LESS expensive than waiting until after-the-fact. When your aircraft isn't operating the way it should, trust Bison Aviation to diagnose the issue correctly the first time. With years of experience and specialty training, our technicians have the skills needed to locate and correct faults quickly and effectively! When it's time to take your aircraft to the next level, call on Bison Aviation to guide the way. From engine monitors to turbo-normalizers and LED lighting to complete re-engining projects, we are ready to take your aircraft's performance to the next level. Bison Aviation maintains the world's largest in-house inventory of legacy airborne EO/IR and FLIR equipment and parts. 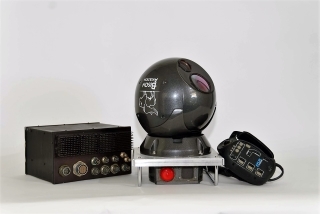 Our system inventory includes units from FLIR Systems, Inc., L3 Wescam, Gyrocam, Polytech, and SweSystems. Our overhauled systems are providing reliable service at agencies throughout the United States in addition to countries around the globe. From complete flight-ready systems, to major LRUs, mounting kits, and ISR mission support equipment, Bison Aviation is able to respond quickly to our customer's airborne ISR system needs. The Bison Aviation Sensor Service Center is capable of repairing virtually any model of airborne EO/IR or FLIR system, including repairs that cannot be performed anywhere else in the world! 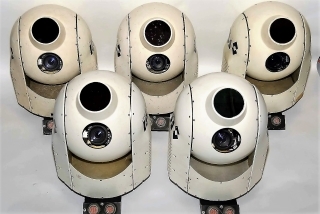 As one of the only independent ISR sensor labs, we have developed the precision process specifications necessary to maintain and repair these highly complex electro-optical systems in top working order. Bison Aviation's repair and service capabilities include such specialized sub-systems as cryocoolers, detector-dewar assemblies, and of course gyro-stabilization and optical components. Incidents and accidents happen. When they do, let Bison Aviation's AOG Response Team be "the best part of your worst day!" We are ready 24/7/365 to assist you with everything from aircraft recovery and relocation to repairs. We can even assist you with your insurance claim. Our goal is to get your aircraft back in the air with minimal down-time and maximum efficiency! Whether you've just suffered a gear up landing or corrosion has been discovered in your airframe, Bison Aviation is ready to return your aircraft to safe flying condition on-time and on-budget! Our technicians have just about seen it all, so no matter your issue, Bison Aviation is ready to bring your aircraft back to peak flying condition! Copyright 2019 Bison Aviation, LLC. All Rights Reserved. Bison Aviation and the winged bison logo are registered trademarks of Bison Aviation, LLC.